The below mentioned timings are applicable only on Monday’s in Srisailam Temple. 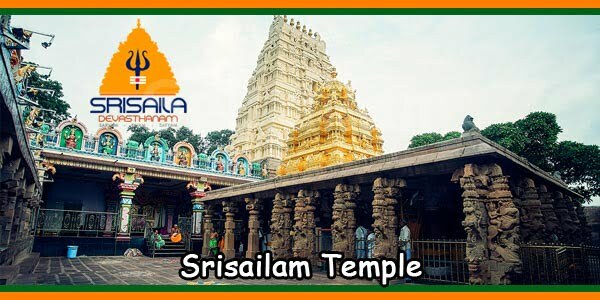 Srisailam, the abode of Siva and Sakthi, is located in a beautiful surrounding of Nallamalai Hills on the right side of Krishna River, in Kurnool district of Andhra Pradesh. It is geographically marked at an altitude of 476 meters above the sea level, at 16.12ºN latitude and 78.5ºE longitude. 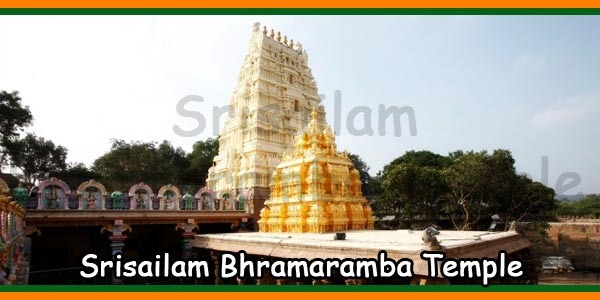 The presiding Deities of this temple are God Mallikarjuna Swamy and Goddess Bhramaramba Devi. 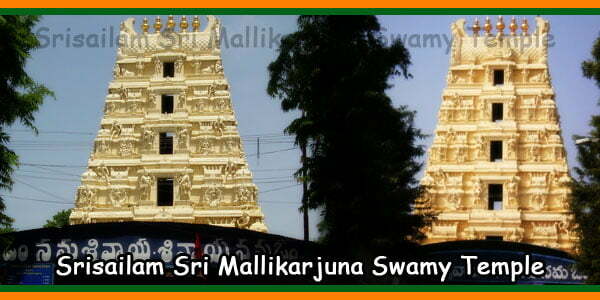 Mallikarjuna Swamy is regarded as one of the twelve Jyothirlingas and Bhramaramba Devi is revered as one of the eighteen Mahasakthis. Both are believed to be self-manifested deities. Existence of Jyothirlingam and Mahasakthi in one Temple complex is a very rare feature and that is the uniqueness of this temple. Here, Krishna River flows through a deep narrow valley, having a width of about 100 meters and at about 1000 meters below the hill top. The Krishna River flows in the valley covering a distance of 70 Km to the upper part of Srisailam and a distance of 80 Km to the down, till it reaches Nagarjunasagar. It is awe-inspiring to watch the narrow flow of the river though the deep valley, which looks very attractive near Srisailam, and here it is called as Pathalaganga. Here, the river takes two repeated bends within a short distance and in each bend it makes a large stretch of high Plateau. We have Srisailam on its right side, and on the left side there are remains of the ruined Chandraguptanagara, which was mentioned in the Skandapurana as well as in some famous writings of 12th to 16th centuries. According to Hindu mythology, this temple is recognized as ‘the Kailasa on the earth’ and is named as ILA – KAILASAM. 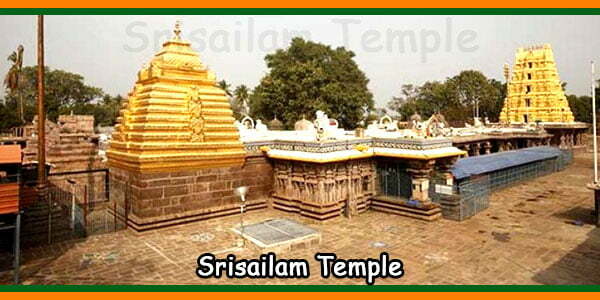 Besides its mythological importance, Srisailam also has its historical significance. Beginning from the rule of Satavahanas, the earliest rulers of Andhradesa, the surrounding region of Srisailam was a prominent religious centre and it still continued to be so. There are several interesting inscriptions available at Srisailam, which belong to 12th century A.D and later. Nevertheless, the inscriptions found in various parts of the Deccan and Andhra Pradesh regarding various early historical places confirm its historical significance commencing from first century A.D. Here, the Srisailam temple complex is analysed considering the chronological events, art, architecture, sculpture and iconography. 4:30 AM to 5:00 AM Mangalavadyams. 5:00 AM to 5:15 AM Suprabhatam. 5:15 AM to 6:30 AM Pratahkalapuja, Gopuja and Maha Mangala Harathi. 6.:30 AM to 1:00 PM Darshanam, Abhishekam and Archanas by the devotees. 1:00 PM to 3:30 PM Alankara Darshanam. 4:30 PM to 4:50 PM Mangalavadyams. 4:50 PM to 5:20 PM Pradoshakalapuja. 5:20 PM to 6:00 PM Susandhyam and Maha Mangala Harathi. 5:50 PM to 6:20 PM Rajopachara puja (Parakulu) to Bhramaramba Devi. 6:20 PM to 9:00 PM Darshanam, Abhishekam and Archanas. 9:00 PM to 10:00 PM Dharma Darshanam. 9:30 PM to 10:00 PM Ekantha Seva. 10:00 PM Closure of the temple. 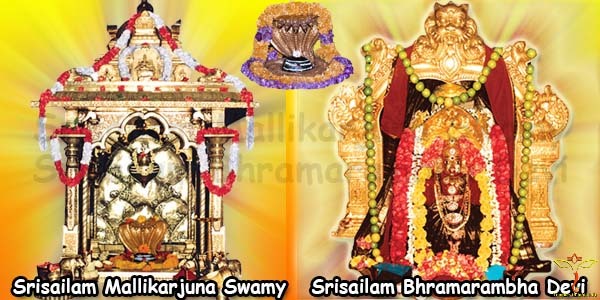 Suprabhatha Darshanam at 5:00 AM Ticket price Rs.300.00 Couple or Single person are allowed for darshan. 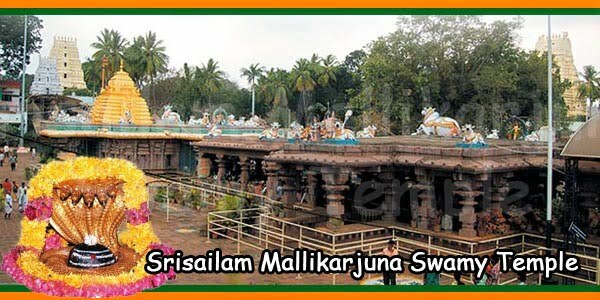 Mahamangala Harathi at 5:50 AM Ticket price Rs.200.00 only one Person is allowed for darshan. Athiseegra Darshanam between 6:30 AM to 1:00 PM and 6:30 PM to 9:00 PM Ticket price Rs.100.00 Couple or Single person are allowed for darshan. Special Queue Line Darshanam between 6:30 AM to 1:00 PM and 6:30 PM to 9:00 PM Ticket price Rs.50.00 only one Person for darshan. 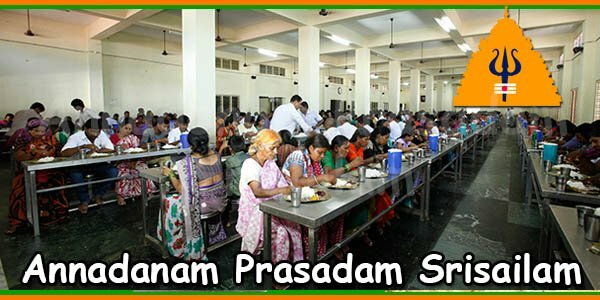 Free Darshanam in general Queue between 6:00 AM to 3:30 PM and 6:00 PM to 10:00 pm. Mahamangala Harathi (Evening) at 5:00 PM Ticket price Rs.200.00 one Person for darshan. Quick Darshanam between 6:30 AM to 1:00 PM and 6:30 PM to 9:00 PM Ticket price Rs.100.00. Mahasivaratri, Arudra Nakshtram, Pournami, Moola Nakshatram, Sravana Nakshatram, Suddha Chavithi Pooja, Bahula Chavithi Pooja, Kruthika Nakshatram. Srisailam is 370 km from Tirupati via kadapa. Srisailam is 213 km from Hyderabad via Kalwakurthy. Srisailam is 263 km from Vijayawada via Kalwakurthy. Srisailam is 213 km from Visakhapatnam via Rajahmundry – Eluru – Guntur. very good information, this is very useful to devotees.